These Tap Turners are easy to use and are compatible with both capstan and crystal style taps. They provide extra leverage for users who have weak wrists and feature textured handles which provide a secure and safe grip. 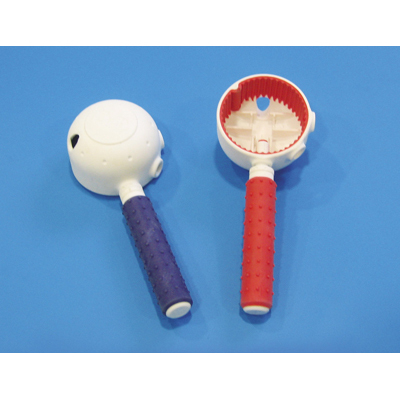 To fit you simply turn the handle so that it grips the tap with non-slip, rubber linings in the jaw. The jaws can also be locked in position once the correct position is found. They are conveniently colour coded in red and blue for those with impaired vision. For use with taps up to 60mm in diameter.